(Kitco News) - In a quiet week for economic data, the gold market will be laser-focused on the rapidly approaching Federal Reserve monetary policy meeting. Among some commodity analysts, sentiment in the gold market has turned decisively bearish as prices readjust to a more certain rate hike outlook on June 13 following strong U.S. employment figures and further upside in the U.S. dollar. The May U.S. nonfarm payrolls report took economists by surprise on Friday, with 223,000 new jobs created last month versus the expected 189,000. The unemployment rate also fell to 3.8%, marking an 18-year low. 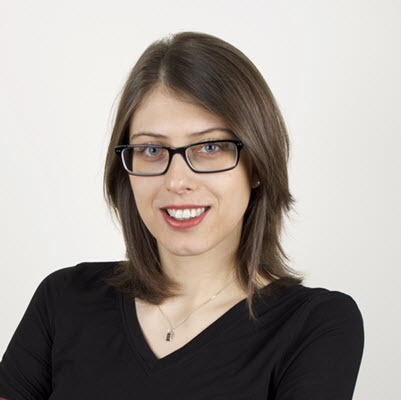 Following the optimistic data release, all signs now point to a June rate hike, Capital Economics analyst Simona Gambarini told Kitco News on Friday. CME FedWatch Tool is currently showing a 94% probability of another 25 basis points hike in less than two weeks. But, since the rate hike was already largely priced, most investors are now focusing on the Federal Reserve Chair Jerome Powell’s press conferences scheduled for immediately after the FOMC announcement, Gambarini noted. Gambarini projects three more rate hikes this year, bringing the 2018 total to four. She also added that even though rate hikes are a significant headwind for gold, it all depends on the U.S. dollar’s reaction. “It’s really a dollar story’s — stronger dollar weighing on gold prices. If the dollar remains at the current level or falls back, then gold prices should not be weighed down too much by the upcoming hikes,” Gambarini said. A significant downward driver for gold in the long-term could be the Fed that chooses not to stop monetary policy tightening once it gets to 2%, said chief market strategist at SIA Wealth Management Colin Cieszynski. “Fed could continue to raise rates every quarter in 2018 and 2019. It [might] not stop once [it] gets to 2%,” Cieszynski said. Geopolitical risks, which gave hope to the gold bulls this past week, have more or less de-escalated, forcing a more bearish gold outlook on analysts. Even this week’s gold price action failed to reflect increasing geopolitical tensions, including trade war rhetoric between the U.S. and its allies following President Donald Trump’s announcement about the introduction of tariffs on steel and aluminum imports from Canada, Mexico, and the European Union. “Normally, we would expect escalating geopolitical tensions to have a positive impact on gold, but prices have not reacted much, mainly due to a stronger U.S. dollar weighing on gold,” Gambarini said. But, investors should not get discouraged by gold’s short-term weakness, as some analysts are projecting to see a much stronger precious metal in the second half of the year. Next week, gold will see a follow-through of Friday’s U.S. employment data hit, stated McKay, who is also bearish on gold in the short-term. 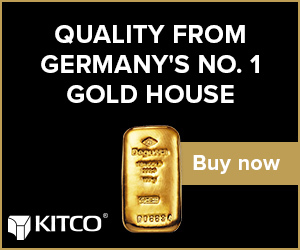 “Gold will tread lower into $1,280s next week,” McKay told Kitco News. The metal will spend the next week searching for a new direction, research analyst at FXTM Lukman Otunuga said in a note on Friday. Gold has failed to sustainably breach the $1,300 this past week after trying to push the $1,305-$1,308 region at least four times, stated MKS SA senior precious metals dealer Alex Thorndike. “Gold remains choppy at this juncture and lacking any technical direction at present, although we do believe a short-term base has likely formed around $1,280-90,” Thorndike said in a note published on Friday. With everyone focused on the June 13th Fed meeting, next week’s data will be secondary, according to McKay. Traders are closely watching the U.S. durable goods orders report scheduled for Monday, Markit PMI to be released on Tuesday, and ISM Non-Manufacturing PMI, also set for Tuesday.